New Aviation Data and Charts: What’s Changed? That manual update process was time-consuming and prone to errors–a chore often left to downtime at the airport. Now, most pilots, from airline captains to students, have adopted electronic charts, at least for some operations. Increasing numbers of us have gone paperless, a practice allowed by the FAA under several guidance documents. 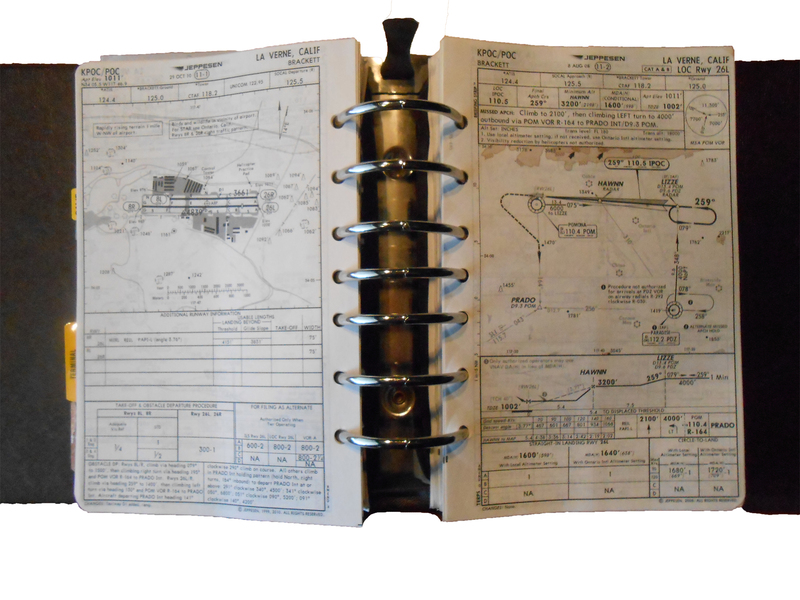 For non-commercial operators, the most relevant document is AC 91-78 Use of Class 1 or Class 2 Electronic Flight Bag (EFB). The old manual update method had one virtue, however. You handled the new charts, and you could easily see which procedures had been canceled or updated. New procedures were also obvious. Downloads of new charts to an iPad update the information quickly and accurately, but you can’t easily determine which charts have changed. The FAA does offer tools to help you discover what’s new with each data cycle. For example, the Advanced Search page at the AeroNav Products website is an interactive way to find new or changed terminal procedures (IAPs, SIDs, STARs, etc.) for IFR flying. You can search for procedures added, changed, or deleted in the current cycle or the next updates to be published. Narrow a search by the volume (Northeast Vol. 1, Southwest Vol. 2, etc. ), state, or city in which the airport(s) you’re interested in are listed. You can also search for specific a specific airport by typing its ID or name. The PDF compare option displays the two latest versions of a chart with highlights that mark what’s changed. To learn about instrument procedures that are under development, visit the IFP Information Gateway, where you can search for airports by name, ID, or city. The page displays details about forthcoming changes to existing procedures and information about procedures that are under development, including preliminary charts. To review changes to VFR charts, see the VFR Chart Update Bulletins page, where you can download PDF summaries of late changes to and errors on published charts. 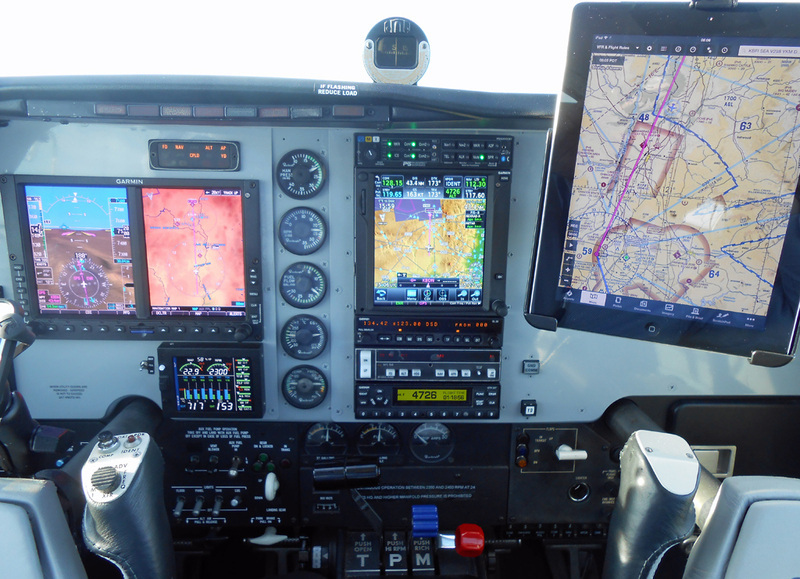 I recently acted as a flight instructor for a customer who is learning new avionics (especially an Aspen Evolution PFD and a Garmin GTN750) recently installed in his 1970s vintage Cessna Turbo Centurion (T210). 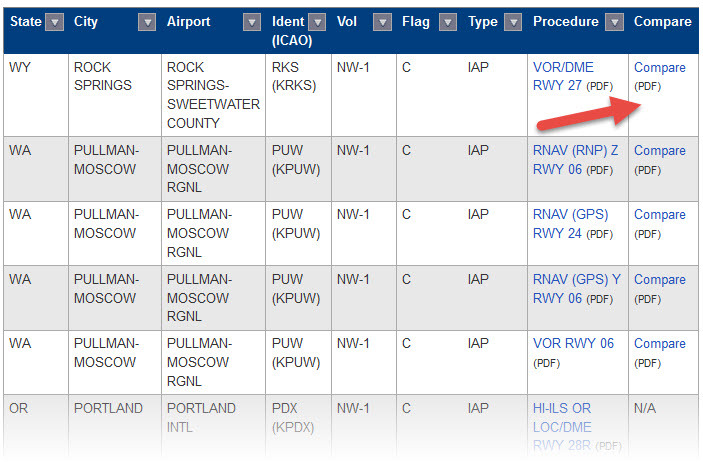 For more information about logging flight time, see this item here at BruceAir. Typical autumn weather prevailed in Seattle, so we conducted the entire flight under IFR, and we were in the clouds for most of the 1.5 hour flight. The owner flew two ILS approaches and one RNAV (GPS) procedure with LPV minimums. We also flew a hold-in-lieu of a procedure turn (see AIM 5-4-9). Am I correct in understanding that a CFII may log approaches that a student flies when the approaches are conducted in actual instrument conditions? Is there a reference to this anywhere in the rules? Ref. § 61.51(g)(2); Yes, a CFII may log approaches that a student flies when those approaches are conducted in actual instrument flight conditions. And this would also permit that instructor who is performing as an authorized instructor to “log instrument time when conducting instrument flight instruction in actual instrument flight instructions” and this would count for instrument currency requirements under § 61.67(c). The FAA views the instructor’s oversight responsibility when instructing in actual instrument flight conditions to meet the obligation of 61.57(c) to have performed the approaches. 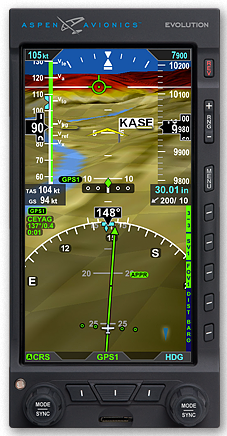 Although the letter does not specifically address the other requirements for IFR currency–holding procedures and tasks and intercepting and tracking courses through the use of navigational electronic systems–the reasoning of the interpretation seems to support allowing an instrument instructor also to log those tasks when the aircraft is operating in actual IMC.